As proud as we are of the product we build we are equally as proud of our activities and support of all working class people within our community. We believe that we cannot build a strong community without supporting those that are struggling for social justice. We are more than a collective bargaining unit representing the hourly workers at CNHi Racine, we are a force that will fight for all that are willing to unite under the common cause of raising working class standards. 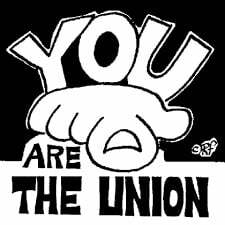 The International Union, United Automobile, Aerospace, and Agricultural Implement Workers of America (UAW) is one of the largest and most diverse unions in North America, with members in virtually every sector of the economy. UAW-represented workplaces range from multinational corporations, small manufactures and state and local governments to colleges and universities, hospitals and private non-profit organizations. 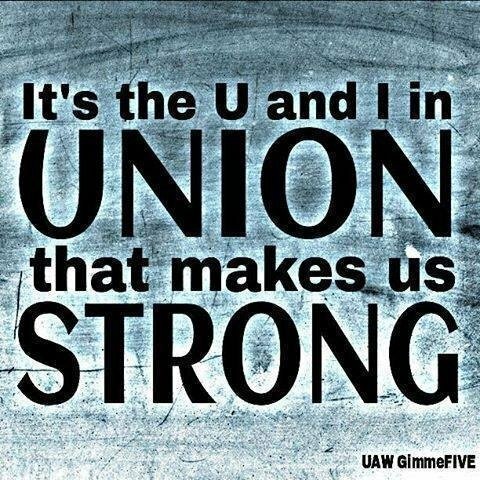 The UAW has more than 430,000active members and more than 600,000 retired members in the United States, Canada and Puerto Rico.There are more than 750 local unions in the UAW. 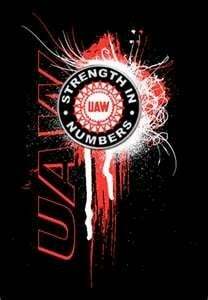 The UAW currently has 2,500 contracts with some 1,700 employers in the United States, Canada and Puerto Rico. * The first employer paid health insurance plan for industrial workers. * A pioneering role in product quality improvements. * Landmark job and income security provisions. * Comprehensive training and educational programs. As Impressive as it is, the UAW's success record at the bargaining table is only part of the story. From our earliest days, the UAW has been a leader in the struggle to secure economic and social justice for all people. The UAW has been actively involved in every civil rights legislative battle since the 1950's, including the campaign to pass the Civil Rights Act of 1964, the Voting Rights Act of 1965, the Fair Housing Act, the Civil Rights Restoration Act of 1988 and legislation to prohibit discrimination against women, the elderly and people with disabilities. The UAW also played a vital role in passing such landmark legislation as Medicare and Medicaid, the Occupational Safety and Health Act, the Employee Retirement Act and the Family and Medical Leave Act. In Washington and State capitols, the UAW is fighting for better schools for kids, secure healthcare and pension for retirees, clean air and water, tougher workplace health and safety standards, stronger worker's compensation and unemployment insurance laws and fairer taxes. The UAW's commitment to improve the lives of working men and women extends beyond our borders to encompass people around the globe. Through vigilant political involvement and coordination with world labor organizations, we continue to fight for enforcement of trade agreement provisions of human and worker rights, fair labor standards and a new approach to international trade - one that raises the quality of life for working people worldwide. If you are interested in organizing your workplace with the UAW, call 1-800- 2GET-UAW or email our Organizing Department.